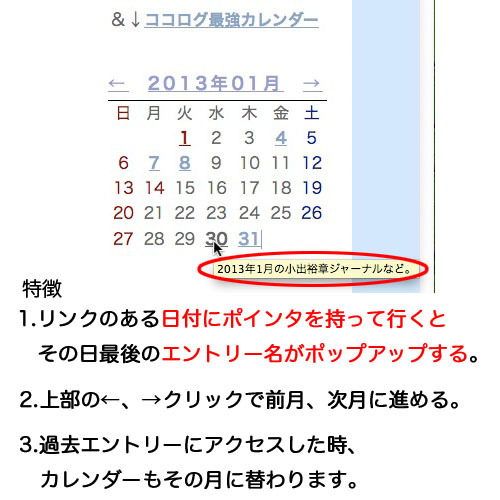 今年１月２１日、米共和党のルビオ上院議員に媚びを売る、うすら馬鹿安倍晋三。（クリック拡大して、安倍の表情をジックリご覧あれ）Japanese Prime Minister Shinzo Abe welcomes US Sen., Marco Rubio of Florida at his residence. 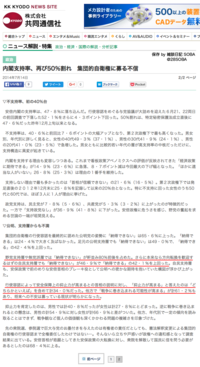 安倍晋三は朝鮮カルト 統一協会のお友だち。Shinzo Abe is a friend of Moonie, Cult Unification Church. Japanese political veteran Ichiro Ozawa speaks at a ceremony to launch his new party in Tokyo in this July 11, 2012 file photo. (Reuters) - When Prime Minister Shinzo Abe loosened the limits of Japan's pacifist constitution to drop a ban on its military fighting overseas, many experts said it was a step towards becoming a "normal country" able to do more in its own defence. But Ichiro Ozawa, a one-time ruling party kingmaker who coined the phrase two decades ago, says Abe's policy is fundamentally different and risks leading Japan down a path with dangerous echoes of pre-war militarism. Abe's cabinet took a step away from Japan's post-World War Two pacifism this month by dropping a ban on exercising the right of "collective self-defence", or aiding a friendly country under attack. That prohibition has kept troops from fighting abroad since 1945. Ozawa used the phrase "normal country" in his 1994 book, "Blueprint for a New Japan", written after the 1990-1991 Gulf War. 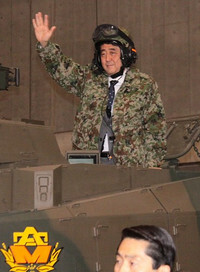 The constitution's constraints then limited Japan's contribution to the U.N.-backed military mission to providing cash. Many policy-makers were embarrassed when the failure to put boots on the ground was derided abroad as "chequebook diplomacy". "His ideas are different from the 'normal country' of which I spoke," Ozawa, 72, told Reuters in an interview. "Mr. Abe’s concept is for Japan to have a sort of pre-war-style, great power military and economy - a kind of pre-war revival," he said. "He is a good person, but I feel there is something rather dangerous about his political views and ideals as a top leader." 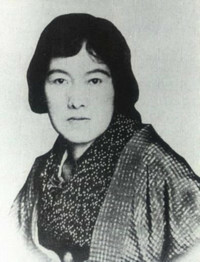 Ozawa has been a fixture in Japanese politics for four decades. A heavyweight in the long-ruling Liberal Democratic Party, now headed by Abe, he bolted the LDP in 1993 and led a succession of opposition parties. These included the Democratic Party of Japan, which took over from the LDP in a 2009 landslide poll, but was ousted when Abe surged back to power in 2012. 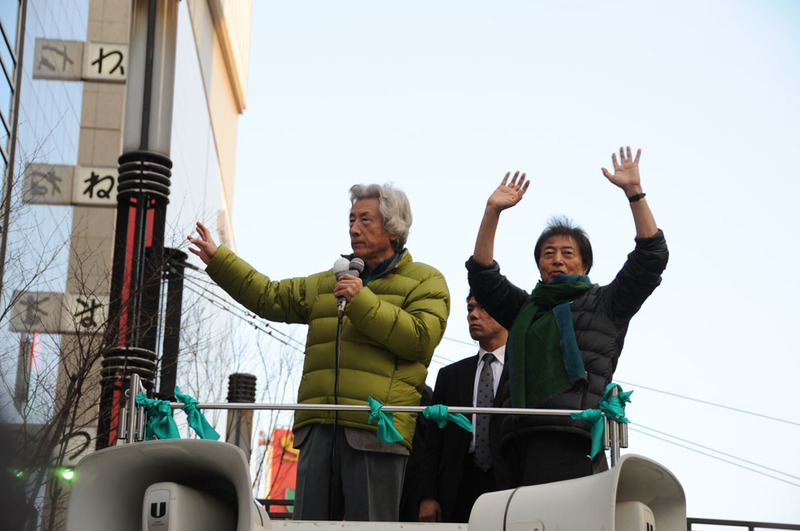 Ozawa is now leader of the small opposition People's Life Party. Abe's government - which avoids using the term "normal country" - has rejected suggestions by China and some domestic critics that it aims to revive pre-war style militarism. Proponents say the policy shift, which revises a longstanding interpretation of the constitution's pacifist Article 9, is vital for Japan to cope with a tough security environment, including the rise of an increasingly assertive China and an unpredictable North Korea. Ozawa, however, has long argued that the constitution limits Japan's military participation in conflicts not directly related to Japan to missions sanctioned by the United Nations. 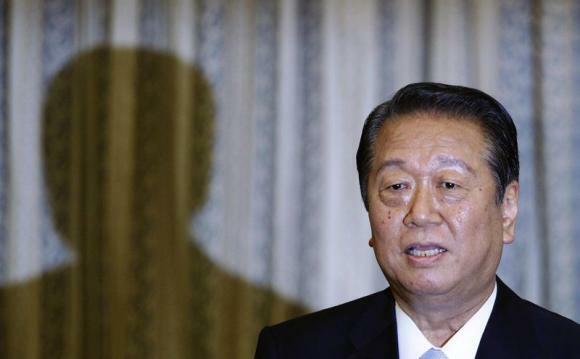 Allowing participation in operations with allies in other conflicts not directly tied to Japan's defence would require amending the constitution, he says. "The cabinet can adopt whatever resolution it likes, but there is no scope for reinterpretation," Ozawa said. "To call for a revision of Article 9 would be logical, and that is what a proper statesman should do." As DPJ leader in 2007, Ozawa opposed a law allowing Japan to refuel foreign ships taking part in U.S.-led operations in Afghanistan, one of the factors that forced Abe to resign abruptly in his first year-long term as premier. He said the political tide that made him seem right-wing 20 years ago had shifted so much that he now comes across as leftist. 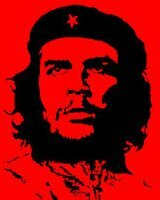 "In the past, I was called right-wing, now they call me left-wing. I have not changed at all," he said. 概要：China's Xinhua News Agency is reporting that a man is badly injured after burning himself on Sunday at the crowded Shinjuku train station in Japan's capital Tokyo. Last week a man set himself on fire next to Shinjuku Station to reportedly protest Prime Minister Shinzo Abe’s bid to lift constitutional constraints on Japan’s military forces. It was a gruesome spectacle captured on numerous smartphone videos and disseminated on social media. 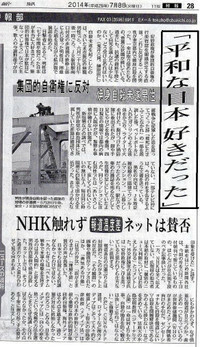 Good thing because the mainstream media practically ignored the most extraordinary act of political protest in the quarter century that I have lived in Japan. 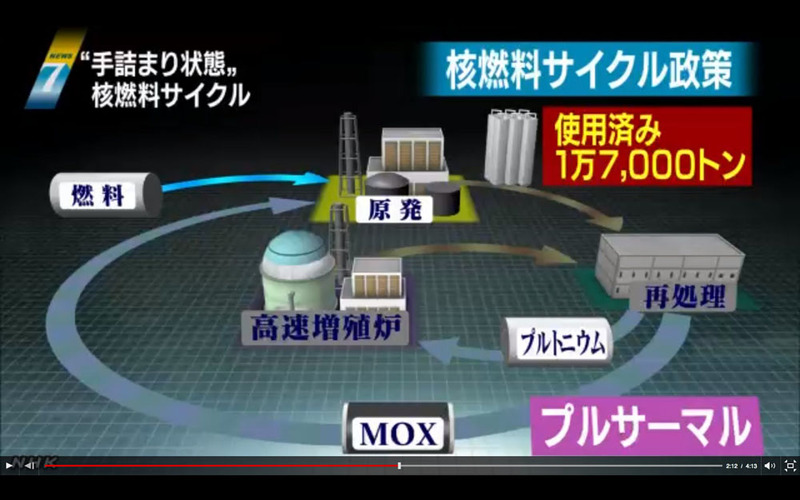 NHK news didn’t even mention the event, apparently playing by Pyongyang rules: Ignore the ugly truths that discredit the powers that be. Self-immolation is a weapon of the weak, an assertion of moral authority in the face of authoritarian power, a last-resort demonstration of defiance normally confined to despotic states. Like in Tibet, where more than 130 people have set themselves on fire since 2009 to protest Chinese repression, cultural chauvinism and economic exploitation. Or like in Tunisia at the end of 2010, where a street vendor’s fiery protest sparked a national revolution against tyranny that inspired the Arab Spring. But a Japan Spring seems unlikely even as protests mount against Abe’s ideological agenda and moves to circumvent democracy through the special secrets law, the evisceration of Article 9 and restarting nuclear reactors in defiance of majority opinion. 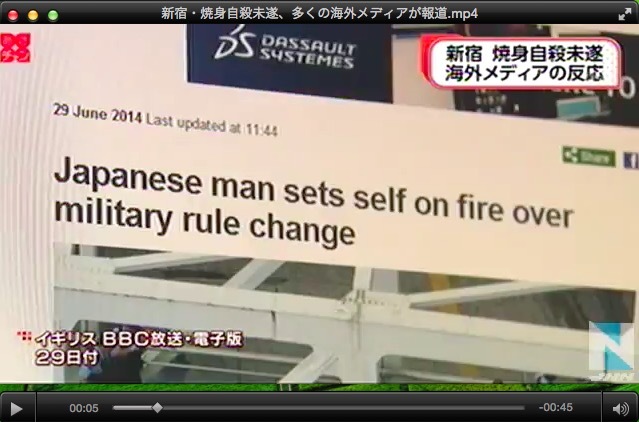 This artful reinterpretation is a game changer and everyone knows it, because now Japan can wage war. Abe is frog-marching the nation down what everyone understands is a slippery slope. What may start as a limited action to protect allies can easily escalate out of control while the fog of war obscures the exit sign. The various scenarios that the Liberal Democratic Party trotted out to convince New Komeito, its coalition partner, to abandon its core principle of pacifism provide useful political cover, but are unconvincing in the court of public opinion. 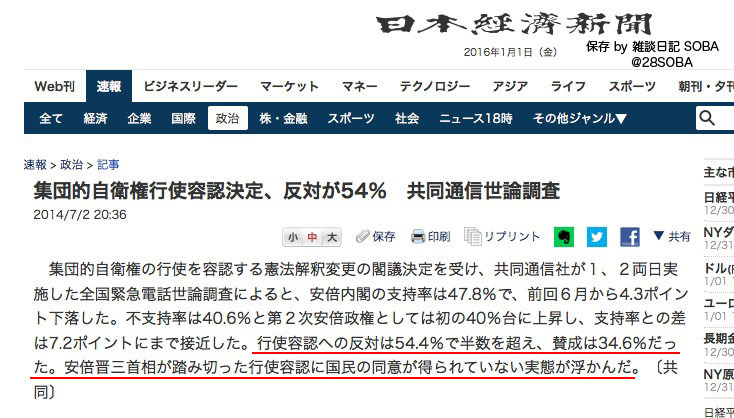 Soka Gakkai, the lay Buddhist organization that mobilizes millions of votes for the coalition, warned New Komeito, its political offshoot, not to endorse reinterpretation, sensibly advising Abe to pursue revision through proper constitutional means rather than devious ploys. 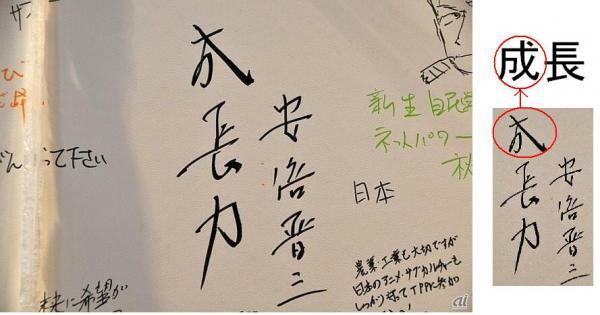 But New Komeito signed off on this dubious dodging of democratic process, apparently unwilling to relinquish the whiff of power even if it entails shirking its principles. But the once formidable Socialist Party (now the tiny Social Democratic Party) knows all too well the cost of abandoning core principles for the vagaries of political power. In a bizarre coalition including the LDP, the Socialist leader Tomiichi Murayama became prime minister (1994-96), but the price of power was renouncing the party’s long-standing view that the security pact with the United States was unconstitutional. The price of this apostasy was the implosion of the Socialist Party, as members voted with their feet and left the party in droves. New Komeito’s leaders are hoping that they can convince members that their apostasy is really a pragmatic adjustment that actually imposes limits on Japan’s use of force. Good luck with that. 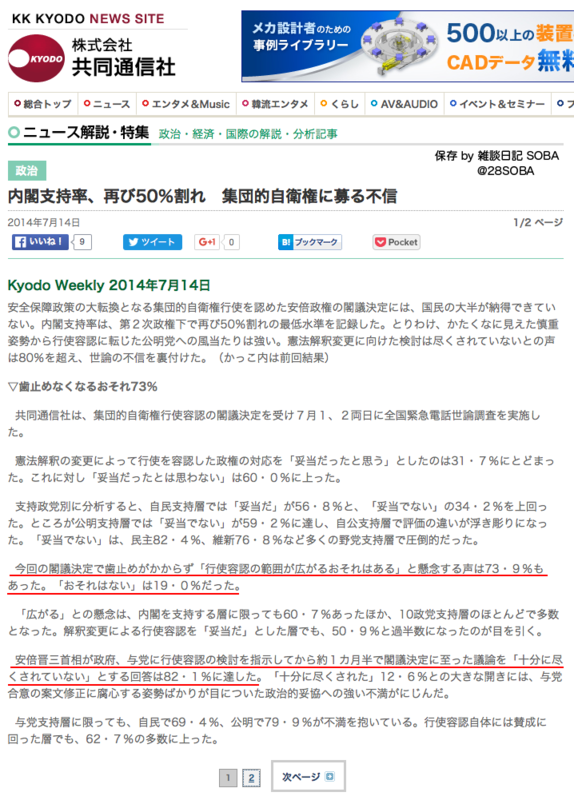 Chances are that the religious basis of Soka Gakkai will insulate New Komeito from an exodus, but time will tell. Members I spoke with feel betrayed and resent the party’s flip-flop on pacifism, and a backlash is certainly possible. 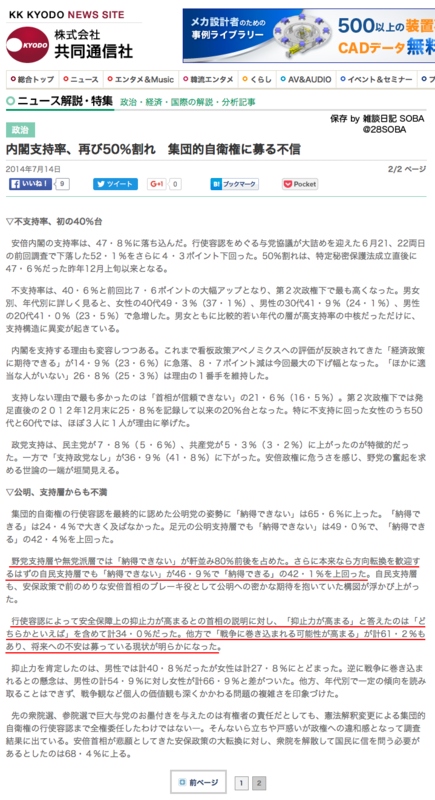 The bottom line is that the Japanese public thinks that Abe is more of a threat to Japan than China or North Korea. 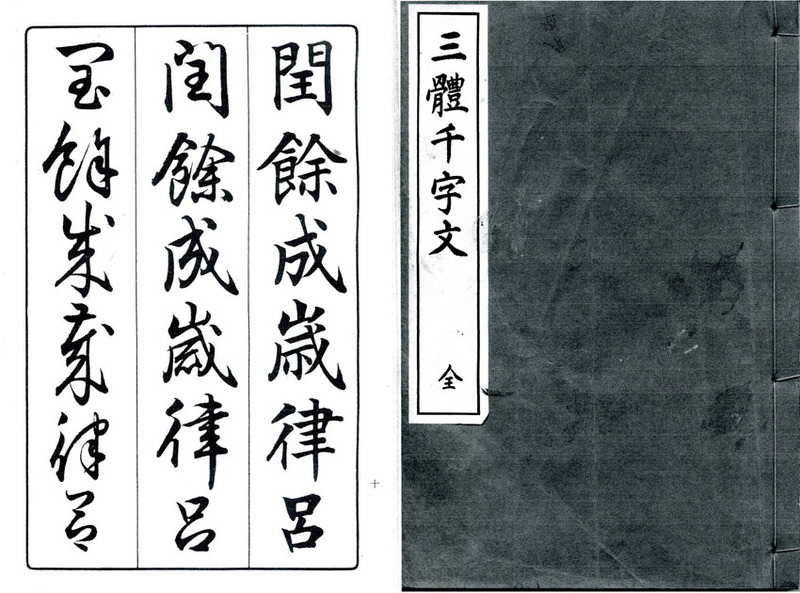 Advocates justify reinterpreting the Constitution because Japan lives in a dangerous neighborhood, with China militarizing its territorial disputes and Pyongyang punctuating bellicose rhetoric by launching missiles. 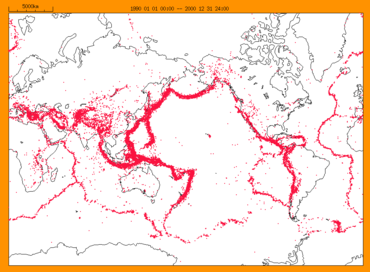 But even as the Japanese public understands these threats it appears that by a vast margin it fears Abe even more and doesn’t want to hand him a blank check on security. Essentially, the public doesn’t trust Abe to prudently exercise the right to collective self-defense and is worried that he or some successor will somehow drag the nation into war somewhere, sometime at Washington’s behest. 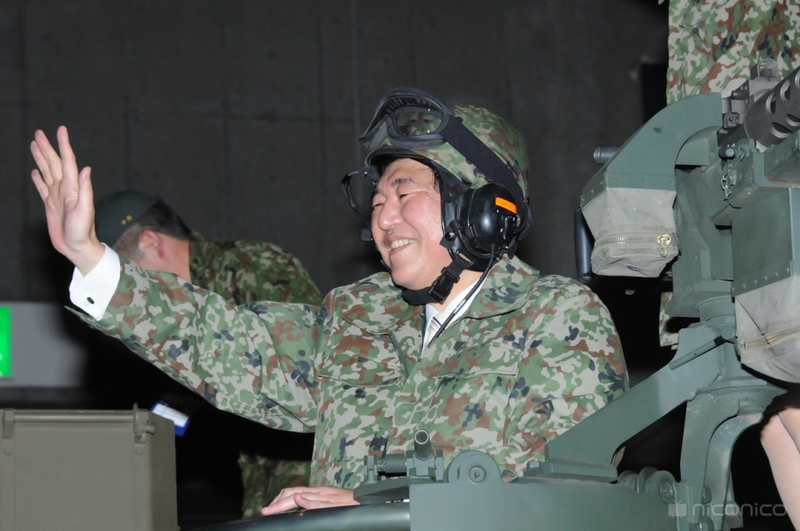 Once the principle is adopted, all of those reassuring scenarios the LDP has conjured up over the past month suggesting that some shackles remain on Japan waging war will fade into oblivion. Team Abe’s political theater over reinterpreting the constitution has not managed to convince anyone who was not already convinced of the wisdom of doing so. Sophistry aside, Abe wants to unleash the nation’s formidable military forces, and this is what the public opposes. Japanese pacifism and Article 9 are touchstones of national identity that reflect the prevailing norms and values that Abe is trampling. Students learn about the horrors of war in their textbooks, focusing mainly on the dreadful wartime suffering of the Japanese population. Many also visit Hiroshima and Okinawa on school trips, where they encounter graphic antiwar messages that bolster support for Japan’s war-renouncing Constitution. Last year the box office hit about kamikaze, “Eien no Zero (The Eternal Zero),” delivered a powerful antiwar message, as the protagonist tried to subvert the war effort and what he dismissed as an inhumane waste of young men’s lives on suicide missions that would have no bearing on the outcome of a war already lost. The hard-core militarists in the film are portrayed as raving sociopaths. Abe is said to have liked the film, but did he get it? 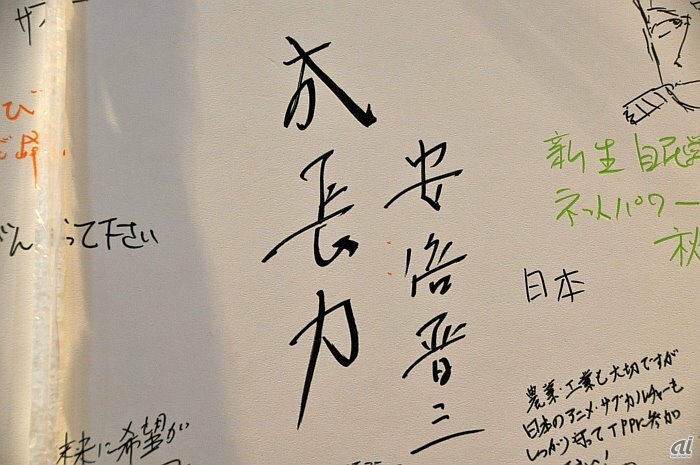 July 1, 2014, will go down in history as a watershed in Japan’s postwar history, the day of infamy when Abe hijacked democracy by renouncing Article 9 and the nation’s pacifist postwar order in an unscrupulous manner, achieving by fiat what he didn’t dare try through established constitutional procedures. Apparently he fears the people as much as they fear him. Japan's government could make the change to its pacifist constitution as early as next Tuesday. The US-drafted constitution bans war and "the threat or use of force" to settle international disputes. Witnesses said the middle-aged man, wearing a suit and tie, climbed onto a pedestrian bridge at Tokyo's Shinjuku station. "He was sitting cross-legged and was just talking, so I thought it would end without incident," one eyewitness told Reuters. "Then all of a sudden his body was enveloped in fire." 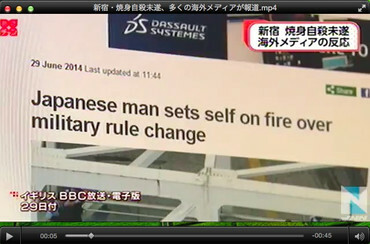 Reports said the man used a megaphone to shout for over an hour about the change to Japan's constitution. 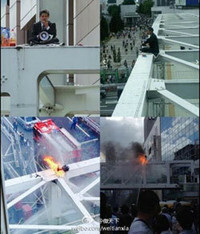 Video shown on national television in Japan showed the flames being extinguished by officers. 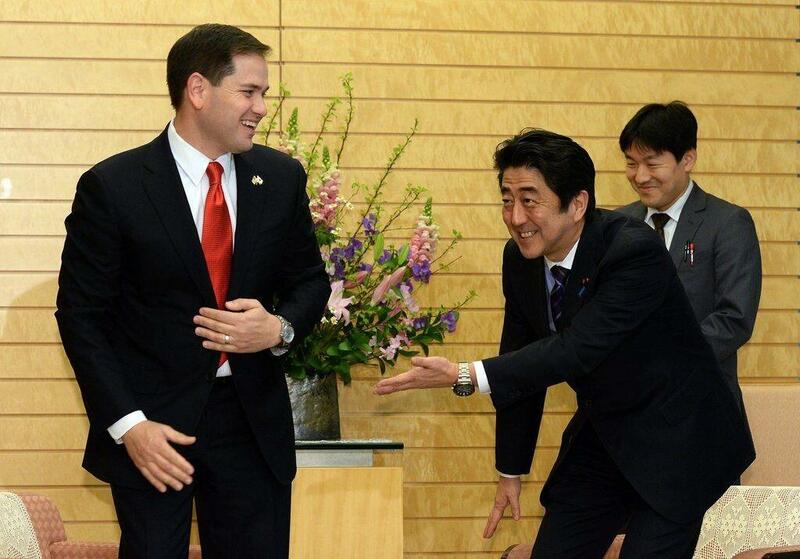 But Japan's Prime Minister Shinzo Abe says he wants a new interpretation of the constitution to be agreed on. Mr Abe's plan has led to criticism from China, whose relations with the Japan have become strained over territorial disputes in East China Sea. 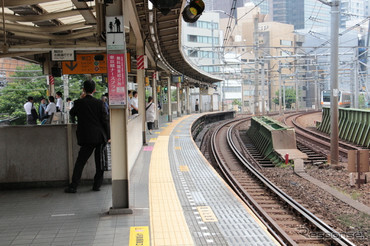 TOKYO — A man set himself on fire at Tokyo’s busy Shinjuku railway station on Sunday in what appears to be a rare violent political protest. The man, who appeared in his 50s or 60s, was taken to the hospital after suffering serious injuries, said Daiji Kubota, an officer at the Shinjuku police station. He said the man’s identity and the reason for the self-immolation was under investigation. 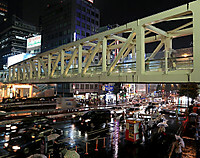 Footage of the incident on Twitter and other social media showed a man clad in a suit and tie sitting on a small mat along the metal framework above a pedestrian walkway with two plastic bottles of what looked like gasoline beside him. 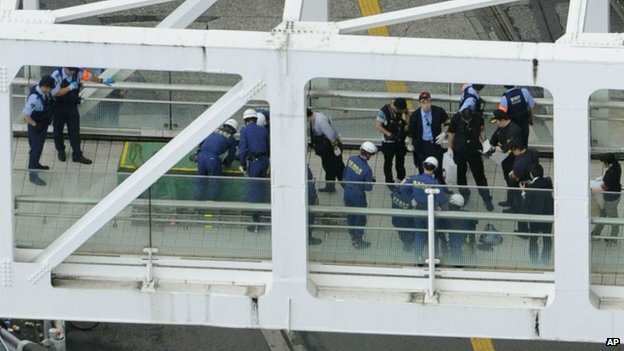 Witnesses were quoted as saying the man spoke through a megaphone to protest the government’s moves to change Japan’s defense policy, doused himself with gasoline and set himself alight as hundreds of people watched from below and from nearby buildings. 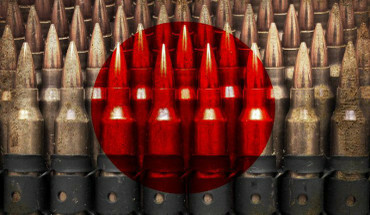 Japan’s Cabinet is expected on Tuesday to approve a proposal calling for the right to “collective self-defense,” which would allow Japan to play a more assertive role in international security amid China’s growing military presence and rising regional tensions. Japan currently limits its participation even in U.N. peacekeeping activities to noncombat roles. Critics say the shift undermines the war-renouncing Article 9 of Japan’s Constitution, and opposition groups have staged constant but peaceful protests outside Prime Minister Shinzo Abe’s official residence. Japan has had very few self-immolations in past decades despite a long history of suicides by ritual disembowelment, or seppuku, dating back to the feudal era. The most high-profile suicide for political reasons in the modern era was by Yukio Mishima, a right-wing author considered to be one of Japan’s greatest novelists, who killed himself in front of the headquarters of Japan’s Self Defense Forces in 1970 after an unsuccessful coup attempt. WARNING: The video below is graphic and extremely disturbing. A man set himself on fire in the centre of Tokyo on Sunday, apparently in protest against prime minister Shinzo Abe’s plans to loosen rules on how Japan’s military can be deployed. The self-immolation, in full view of shoppers in the busy district of Shinjuku, came as Mr Abe’s party is nearing a deal with its coalition partner, the Buddhist-affiliated party Komeito, to approve a proposal that would allow Japan to play a more assertive role in international security. Under the proposal, known as “collective self-defence”, Japan would be allowed to join allies in battle even in the absence of a direct threat to its own territory. Mr Abe has argued that the move is needed amid conflicts in the South China Sea that have pitted China against Vietnam and the Philippines, mentioning them alongside Japan’s stand-off with China over islands in the East China Sea. Yet polls suggest that more than half of Japanese people are opposed to the move, which Mr Abe has described as a “reinterpretation” of the country’s pacifist constitution, rather than an amendment which would require two-thirds approval from both houses of parliament and then a national referendum. That has angered critics who argue that Mr Abe is forcing through a fundamental shift in Japan’s military posture, one that has been maintained more or less unaltered since the second world war. The protest on Sunday came after days of demonstrations outside Mr Abe’s residence. 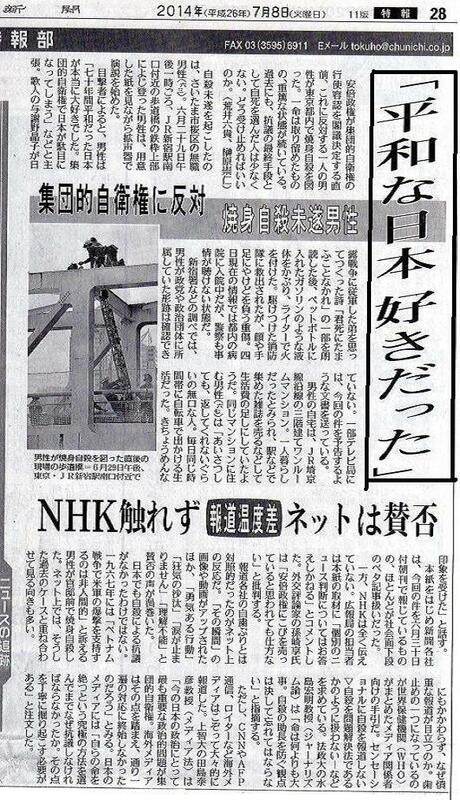 According to online footage and witness reports, the man sat cross-legged on the girders of a pedestrian footbridge near the south exit of Shinjuku station, and spoke for about an hour through a megaphone against Mr Abe’s plans. As firefighters began to scale the frame of the bridge just after 2pm, the man doused himself in what appeared to be petrol and set himself alight. He was then pulled on to mattresses below, hosed down and carried away to hospital. A spokesman for Shinjuku police said the man’s injuries were serious, but not life threatening. He said the man appeared to be aged about 60. 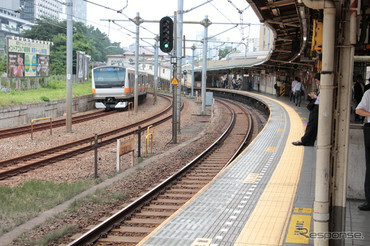 TOKYO — In a ghastly spectacle of a sort rarely seen in this orderly city, a man set himself on fire in front of horrified crowds at Tokyo’s busiest train station on Sunday in what appeared to be a lone protest against efforts to weaken Japan’s antiwar Constitution. 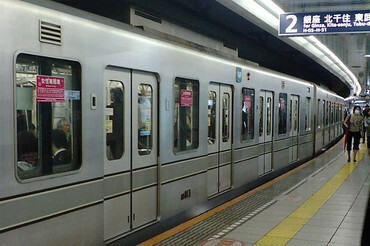 The police provided few details about the man, who survived with burns all over his body after being rushed to a Tokyo hospital. Firefighters appeared either to have been warned or to have discerned the man’s intentions, because they were on hand to douse him quickly with water once he set himself on fire with a liquid that looked like gasoline. The self-immolation took place in broad daylight in front of hundreds of onlookers, who used cellphones and other devices to post graphic videos and photos of it on social media sites. The images show a thin, middle-aged man in a dark suit who sat cross-legged atop the scaffolding of a pedestrian bridge in front of the busy Shinjuku train station. At first, he used a megaphone to speak to gathering crowds. 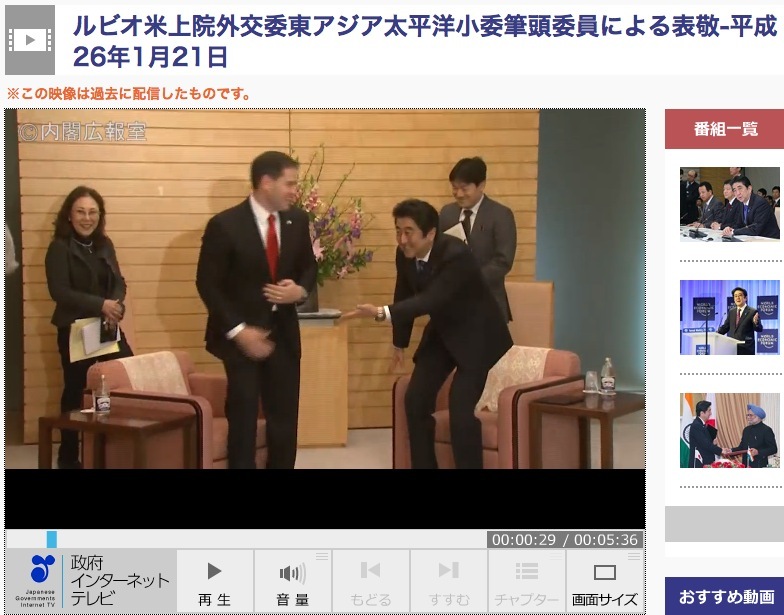 While there is no audio with most of the images, several postings said the man told the crowd that he opposed efforts by Prime Minister Shinzo Abe to loosen restrictions in the Constitution on the use of military force, which is interpreted as allowing Japan to act only in self-defense. Mr. Abe has called for a new interpretation that would allow the armed forces also to contribute to the defense of allied nations under attack, something they cannot now legally do. While Mr. Abe says Japan needs more robust military alliances to offset the growing might of China, opponents on the left have staged small street protests to warn that the change could embroil Japan in distant, American-led wars. After making his appeal, the man then suddenly set himself on fire. One video, shot from a window overlooking the bridge, showed the man engulfed in yellow flames while he sat cross-legged, as if meditating. Firefighters, who were waiting below, quickly sprayed him with their hoses. 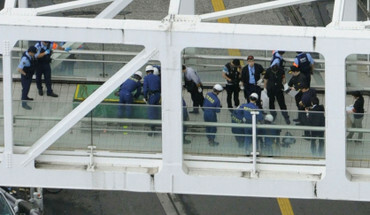 off the scaffolding and onto the center of the bridge in front of firefighters, who doused him for several seconds before treating him. A man in Japan set himself on fire at a busy intersection in Tokyo on Sunday in an apparent protest against Prime Minister Shinzo Abe's plans to broaden Japan’s military capabilities, police and witnesses said. Authorities hosed down the unidentified man and carried him away, according to witness accounts and pictures posted to social media. It was not immediately clear whether he survived. Japan is poised for a historic shift in its defense policy by ending a ban that has kept the military from fighting abroad since World War II. Abe's cabinet could adopt a resolution as early as Tuesday revising a long-standing interpretation of the constitution in order to lift the ban. According to witnesses and social media posts, the man appeared to be wearing a suit, glasses and a tie. He sat atop a pedestrian bridge and spoke through a megaphone to protest plans to end a ban on exercising “collective self-defense,” or aiding a friendly country under attack. 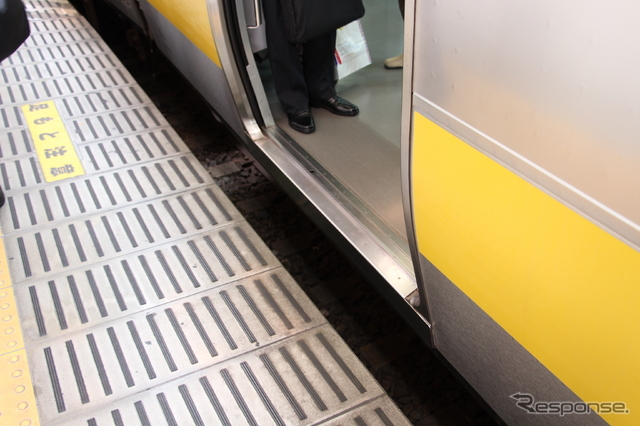 A police spokeswoman confirmed the incident, which took place near bustling Shinjuku station, but would not provide further details. “He was yelling against the government, about collective self-defense,” he said. After World War II and during its occupation of Japan, the U.S. government drafted a constitution aimed at declawing a power that had just several years before swept across swaths of East Asia and Polynesia. The planned change in defense strategy marks a major step away from U.S.-imposed post-War War II pacifism and widens Japan's military options. Under its constitution the country has had a limited, non-combatant role as part of the U.S.-led occupation of Iraq, and in peacekeeping operations. 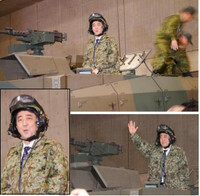 Although Japan still boasts modern military equipment today, it can’t use it under the agreement. Japanese conservatives say the constitution war-renouncing Article 9 has excessively restricted Japan's ability to defend itself. They also argue that a changing regional power balance — including a rising China — means Japan's security policies must be more flexible. The move will likely rile an increasingly assertive Beijing, whose already delicate ties with Japan have chilled due to a maritime dispute, mutual mistrust and the legacy of Japan's past military aggression. Washington will welcome the move, having long urged Japan to become a more equal partner in the alliance between the two countries. Since the end of World War II, the United States has maintained a strong military presence in Japan, tasked with protecting the country from international adversaries. The arrangement is costly for the U.S., which has seen its forces stretched thin over the last decade by wars in Afghanistan and Iraq. Japan began its first military expansion at the western end of its island chain in more than 40 years in April, breaking ground on a radar station on a tropical island off Taiwan. The move risks angering China, locked in a dispute with Japan over nearby islands, which they both claim. 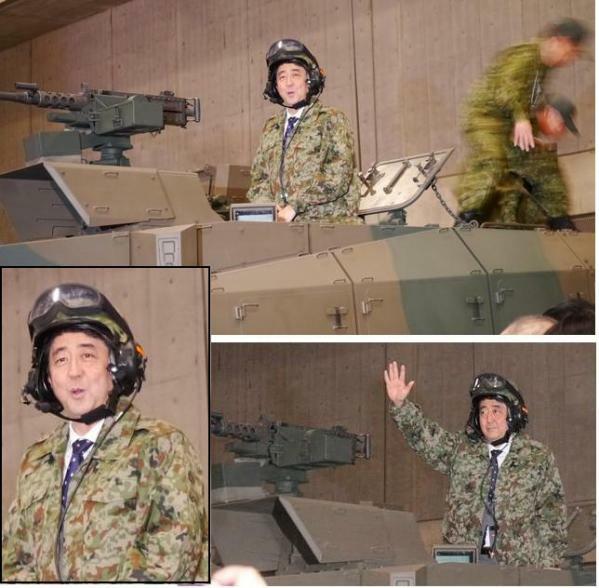 Der nationalistische Premierminister Shinzo Abe will die Verfassung neu interpretieren, um den militärischen Spielraum Japans zu erweitern. Sein Volk ist dagegen. Ein Bürger protestierte nun radikal. Ein Mann in den Fünfzigern hat sich am Sonntagnachmittag vor Hunderten Passanten an einem belebten Tokioter Bahnhof selbst in Brand gesetzt. Augenzeugenberichten zufolge hatte er zuvor eine Stunde lang per Megafon gegen die Politik von Premierminister Shinzo Abe gewettert, der eine Neuinterpretation der japanischen Verfassung durchsetzen will. Sie würde Japan das Recht zur kollektiven Selbstverteidigung geben und damit den pazifistischen Charakter der Verfassung infrage stellen. Medienberichten zufolge soll der Mann mit schweren Verletzungen überlebt haben. Kurz nach dem Vorfall begannen Fotos und Videos davon auf Twitter und Facebook zu kursieren. Gegen 13 Uhr war der in einen grauen Anzug gekleidete unscheinbare Mann auf das Geländer eines Fußgängerübergangs zwischen zwei Kaufhäusern geklettert. Dort setzte er sich in den Schneidersitz, ein Megafon vor sich, eine Tasche und zwei Plastikflaschen neben sich. "Da sitzt ein seltsamer Typ am Südausgang von Shinjuku", twitterte jemand. 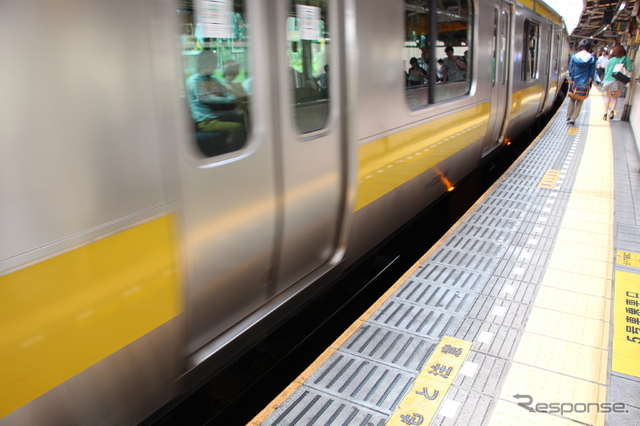 Mehrere Passanten beschwerten sich über den "Idioten", dessentwegen der Südausgang von Shinjuku, einer der belebtesten Pendelbahnhöfe Tokios, bald von Polizei abgeriegelt wurde. "Wie lästig", regten sich mehrere online auf. "Der sagt irgendwas mit dem Megafon, was keiner versteht", schrieb ein anderer. Viele vermuteten in den Plastikflaschen Alkohol und glaubten, der Mann sei betrunken. Auf einmal ging alles ganz schnell. Polizei und Feuerwehr waren schon vor Ort, konnten aber nicht verhindern, dass sich der Mann mit Brennstoff übergoss und mit einem Feuerzeug anzündete. Augenzeugen stellten Bilder des Brennenden ins Internet, manche waren von Kaffeetischen aus im Kaufhaus darüber aufgenommen worden. Helfer versuchten noch, ihn mit Wasser aus Feuerwehrschläuchen zu löschen. Dann stürzte er von der Brücke in die Tiefe. Beim Transport ins Krankenhaus soll er bei Bewusstsein gewesen sein und mit schweren Verbrennungen überlebt haben. Über seine Identität ist bisher nichts bekannt. Augenzeugen berichten, wie er die japanische Regierung dafür kritisierte, Japan die "Ausübung des Rechts auf kollektive Selbstverteidigung" zu ermöglichen. Dadurch soll das japanische Militär mehr Spielraum erhalten, und anders als bisher auch Verbündete im Angriffsfall verteidigen dürfen. Dies verhinderte bisher der Artikel 9 der pazifistischen Verfassung Japans, die seit 1947 gültig ist. Die Mehrheit der Bevölkerung steht den Vorhaben Abes kritisch gegenüber. Trotzdem will die von der liberaldemokratischen Partei geführte Regierung am Dienstag formell die Uminterpretation von Artikel 9 im Kabinett beschließen. Nach langen Diskussionen hatte man sich zuvor mit dem skeptischen Koalitionspartner, der Neuen Gerechtigkeitspartei, auf eine Formulierung geeinigt. Beobachter vermuten, dass Abe Japan stärker aufrüsten möchte. Er ist für seine nationalistischen Töne bekannt und provozierte China im Inselstreit unter anderem mit dem Besuch des Yasukuni-Schreins, wo auch Kriegsverbrecher des Zweiten Weltkriegs verehrt werden. Dies hatte seit mehr als zehn Jahren kein japanischer Premier mehr getan. Im Konflikt um die Senkaku-Inseln, die in China Diaoyu heißen, sieht sich Japan immer offensiveren Auftreten der chinesischen Luftwaffe und Marine gegenüber. Abe beantwortet Provokationen robuster als seine Vorgänger. 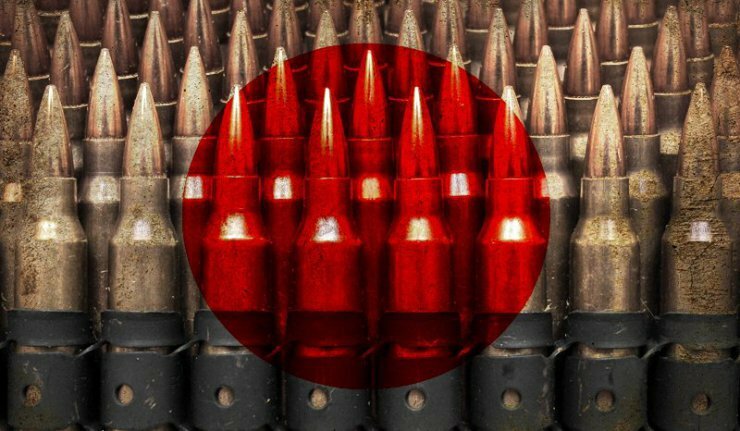 Hardliner in Japan fordern eine Aufrüstung bis hin zur atomaren Bewaffnung. 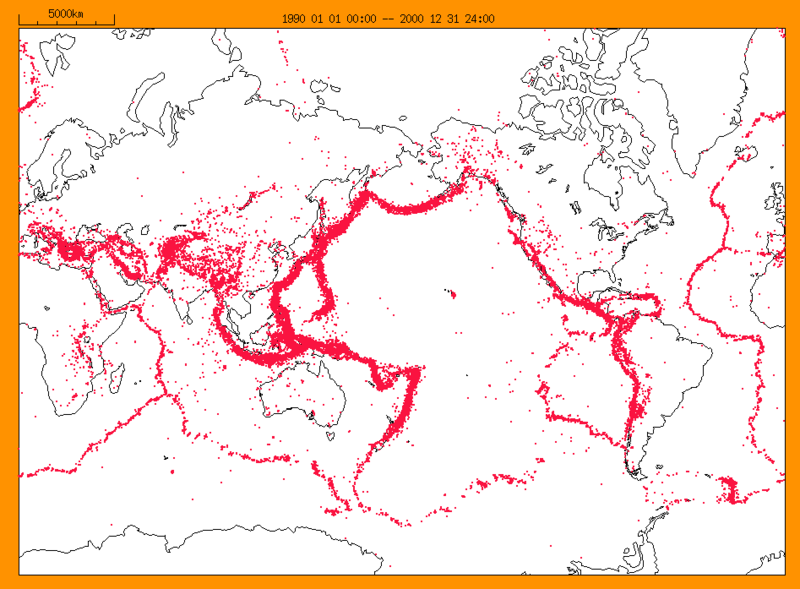 Bisher ist dies aber in dem Land der Atombombenabwürfe von Hiroshima und Nagasaki ein weitverbreitetes Tabu. Selbstverbrennungen sind in Japan extrem selten. Trotzdem verzichtete der öffentlich-rechtliche Fernsehsender NHK auf einen Bericht darüber in den Hauptnachrichten um 19 Uhr Ortszeit, also fünf Stunden nach dem Vorfall. An der Neutralität des Senders kamen in den letzten Monaten immer mehr Zweifel auf. Er wird seit einem halben Jahr von einem Mann geführt, der von Premierminister Abe persönlich ausgesucht wurde. A man in Japan set himself on fire at a busy intersection in Tokyo on Sunday in an apparent protest against Prime Minister Shinzo Abe's plans to ease limits of the country's pacifist constitution, police and witnesses said. Japan is poised for a historic shift in its defense policy by ending a ban that has kept the military from fighting abroad since World War II. 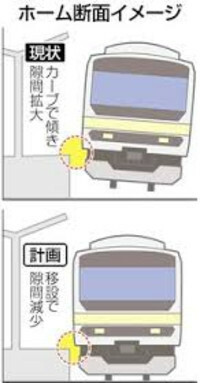 It was not immediately clear whether the man survived. 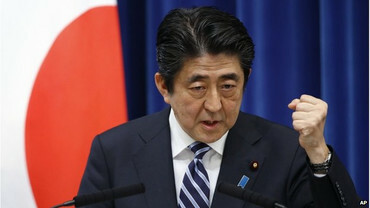 Abe's cabinet is expected to adopt as early as Tuesday a resolution revising a long-standing interpretation of the US-drafted constitution to lift the ban after his ruling party finalizes an agreement with its junior partner. 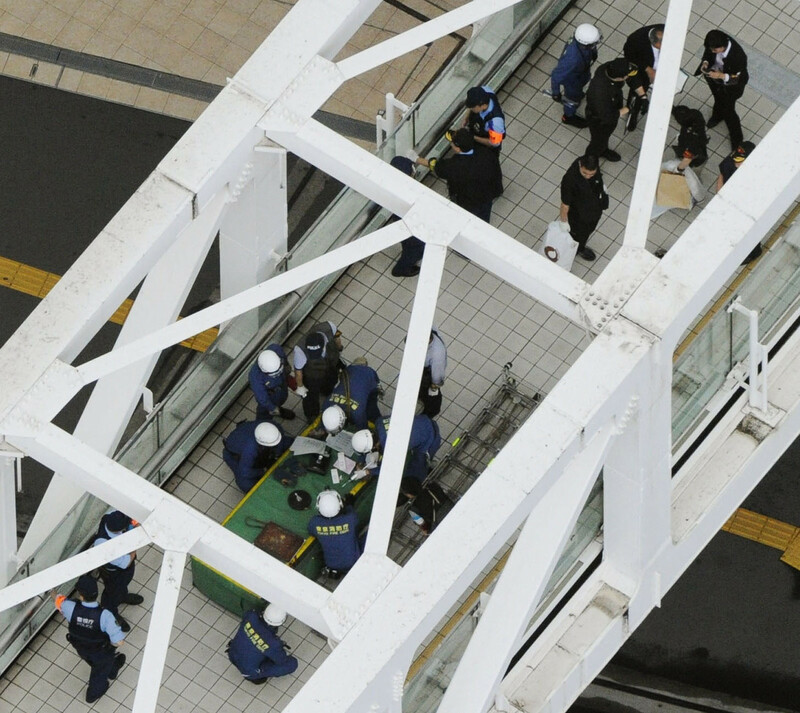 A police spokeswoman confirmed the incident, which took place near bustling Shinjuku station, but would not provide further details. 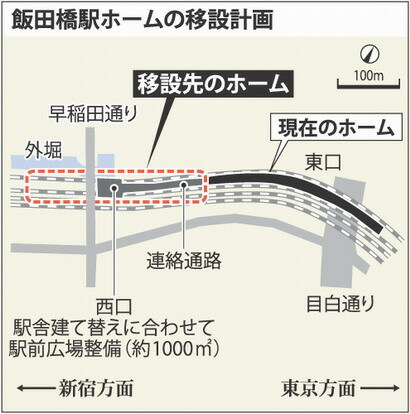 Witnesses said the man, seated on pedestrian bridge, used a megaphone to protest plans to end a ban on exercising "collective self-defense", or aiding a friendly country under attack. "He was sitting cross legged and was just talking, so I thought it would end without incident. But when I came back to the same place 30 minutes later, he was still there. Then all of a sudden his body was enveloped in fire," said Ryuichiro Nakatsu, an 18-year-old student who witnessed the incident. "He was yelling against the government, about collective self-defense," he said. Witnesses said the man was hosed down and carried away. The planned change in defense strategy marks a major step away from post-war pacifism and widens Japan's military options. Conservatives say the charter's war-renouncing Article 9 has excessively restricted Japan's ability to defend itself and that a changing regional power balance including a rising China means Japan's security policies must be more flexible. The change will likely rile China, whose ties with Japan have chilled due to a maritime row, mutual mistrust and the legacy of Japan's past military aggression, but will be welcomed by Tokyo's ally Washington, which has long urged Japan to become a more equal partner in the alliance.